During the evening hours of February 5, Drug Enforcement Administration (DEA) law enforcement officers were investigating illegal drug trafficking along US 41. The DEA had suspicion that a vehicle and two people of interest were in possession of illegal drugs and traveling on US 41. The DEA requested assistance from the Princeton Police Department when the vehicle entered Gibson County. At approximately 11:00 p.m., Princeton Police Officer Brandt George stopped the vehicle on US 41 at CR 150 South. 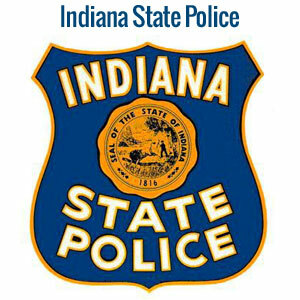 An Indiana State Police K-9 unit arrived, walked around the vehicle and alerted to the presence of narcotics. A search was conducted, but officers failed to find any narcotics inside the vehicle. The male driver and a male passenger were handcuffed and placed in two different patrol cars. The passenger was placed inside Officer George’s patrol car to be transported to Princeton Police Department. Officers were in the process of obtaining a body cavity search warrant for the person of interest. While transporting the suspect, George allegedly became aware that the suspect had approximately 77 grams of heroin inside his pants near his groin area and allowed the suspect to discard the drugs prior to arriving at Princeton Police Department. When investigating officers discovered the drugs were discarded they immediately responded to the area and recovered the heroin.